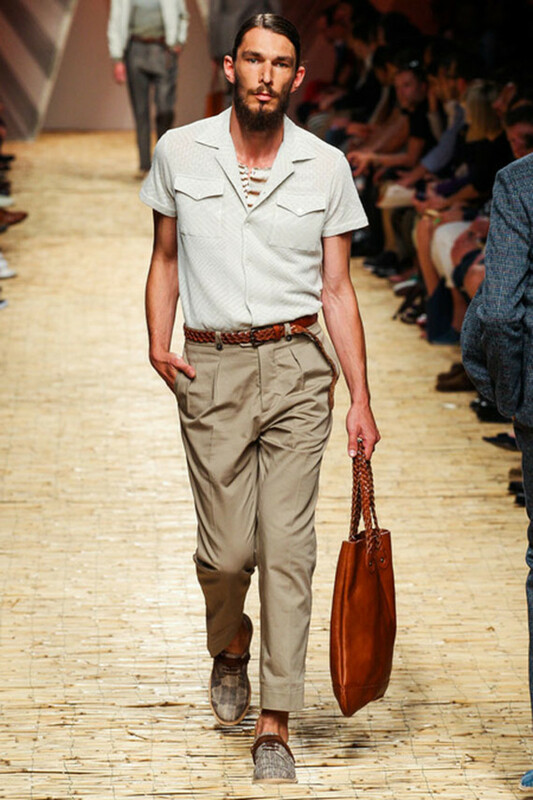 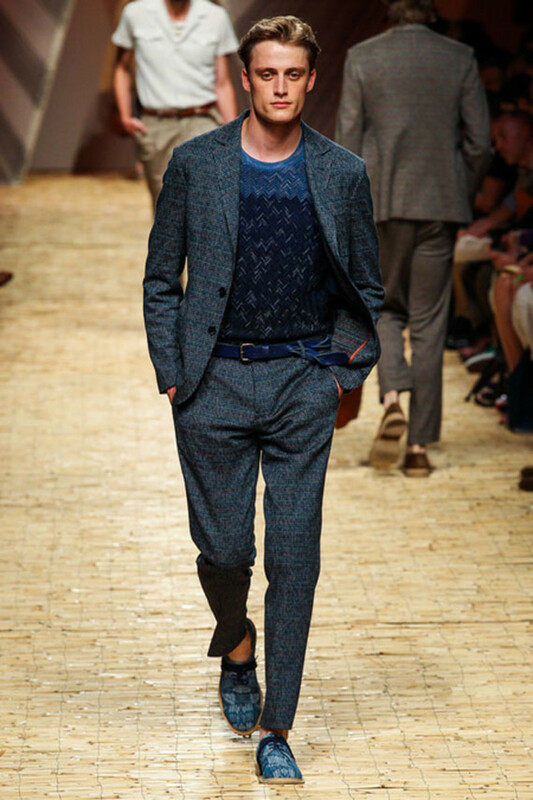 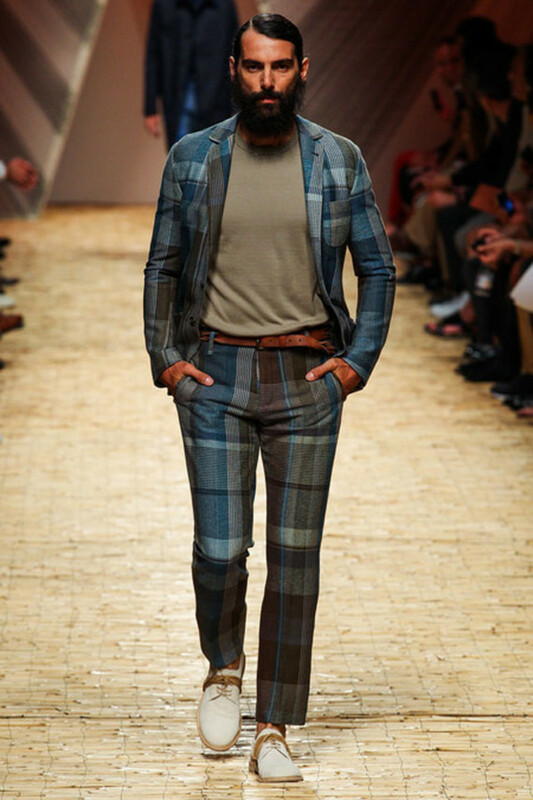 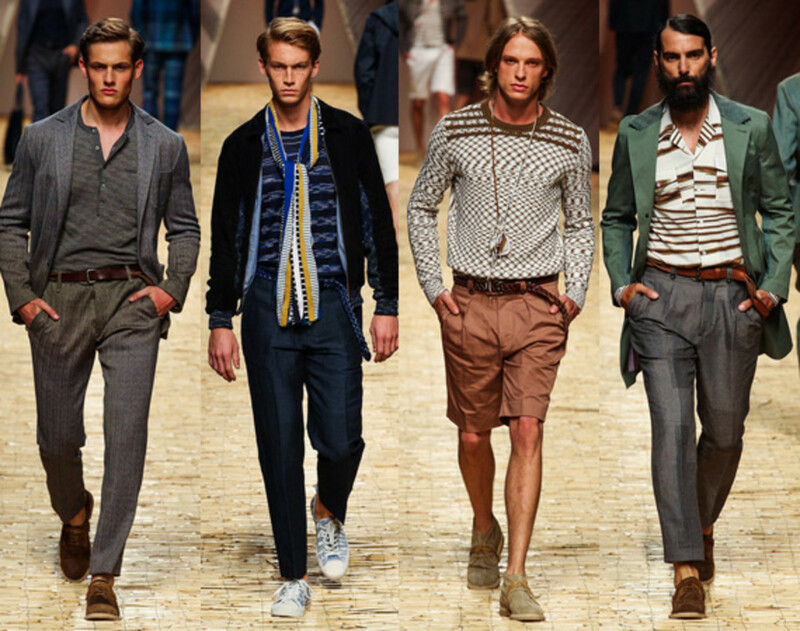 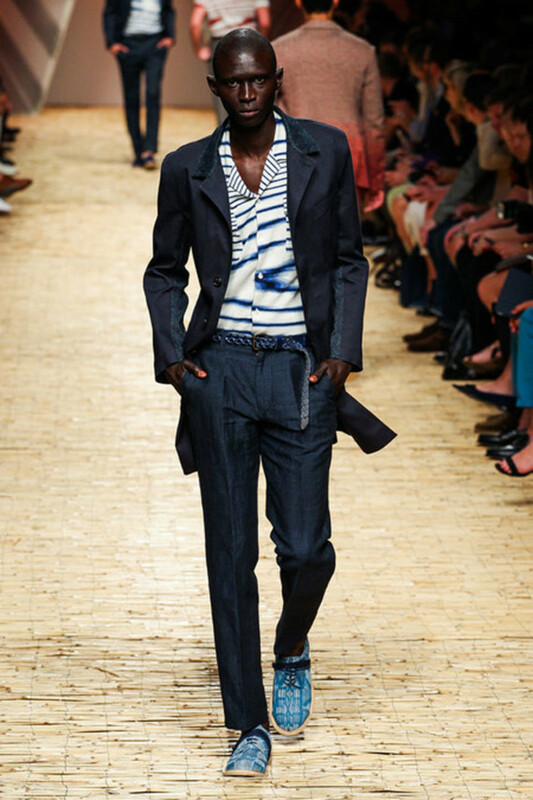 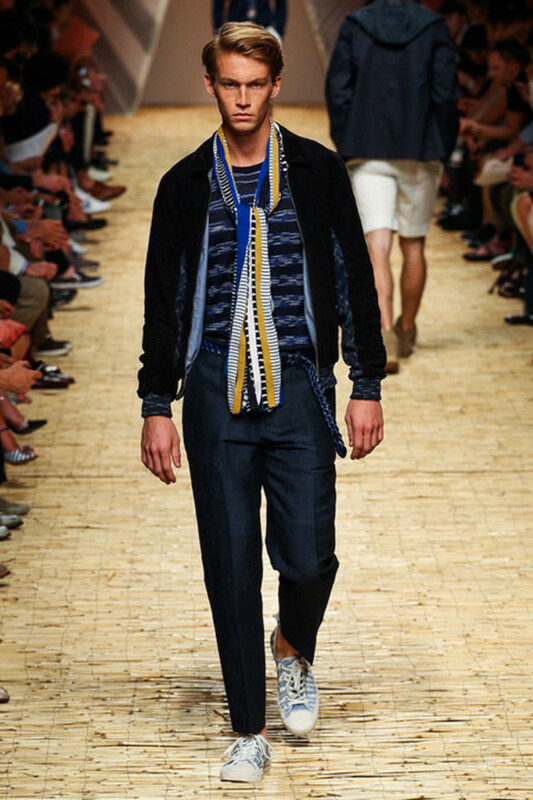 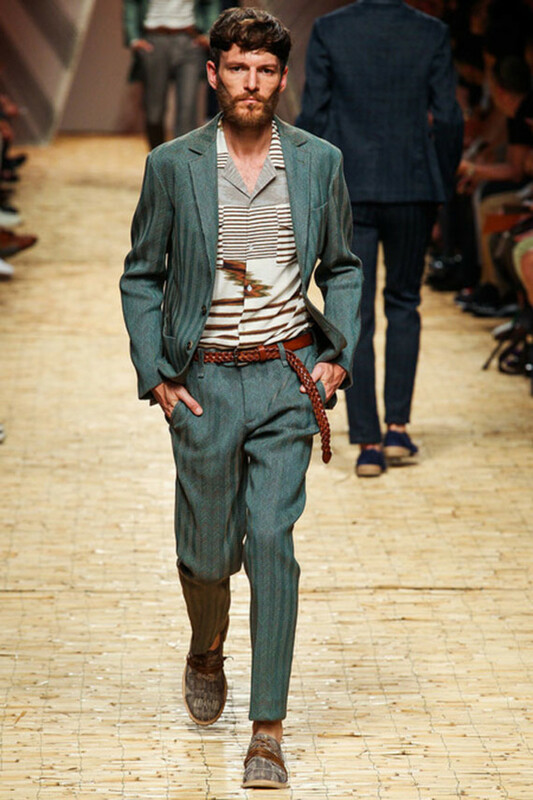 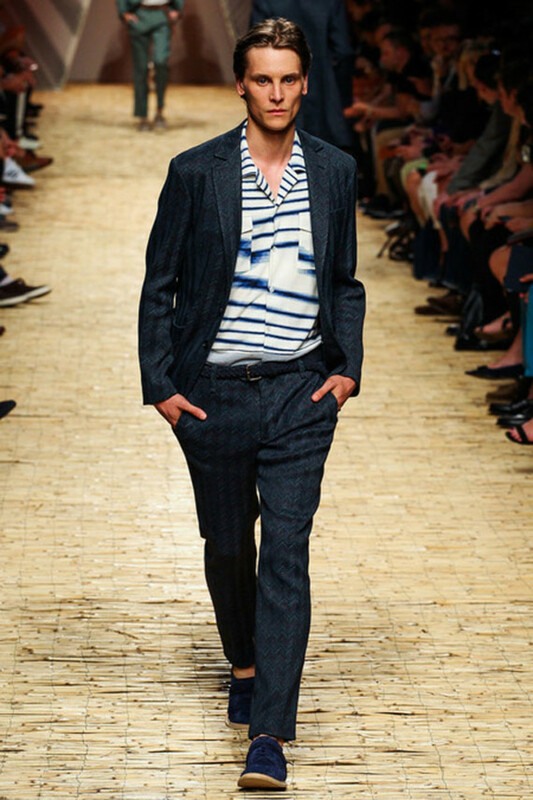 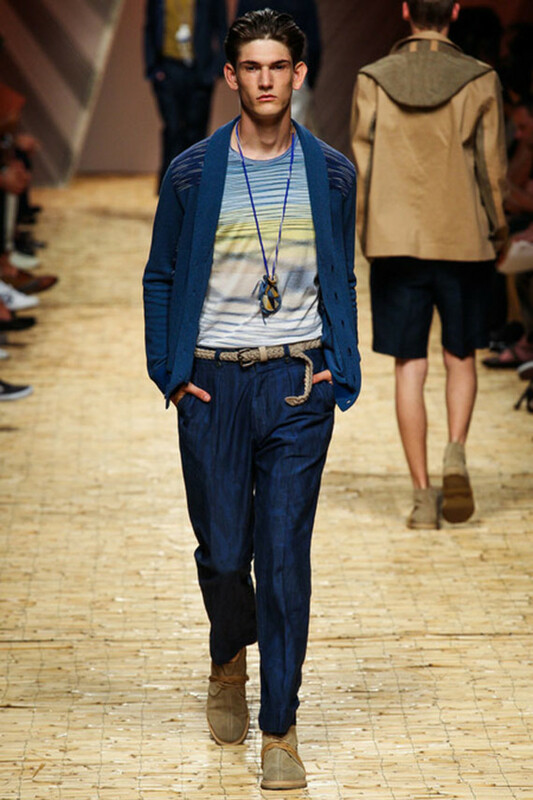 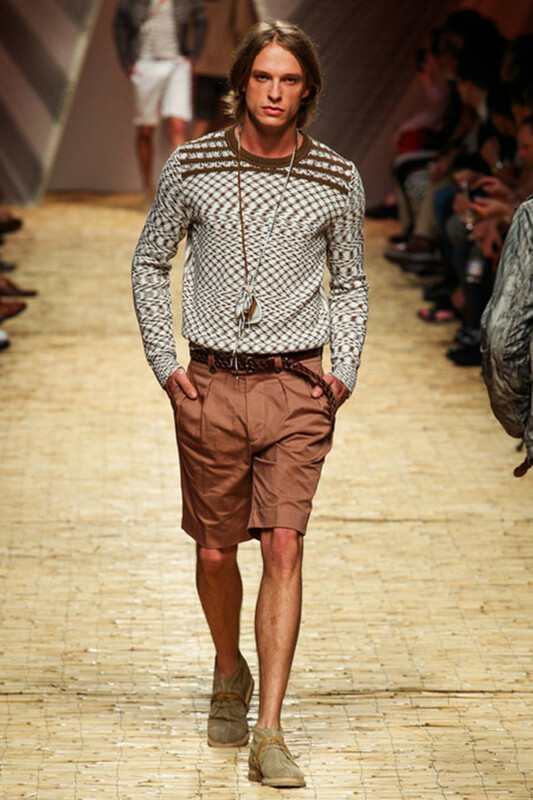 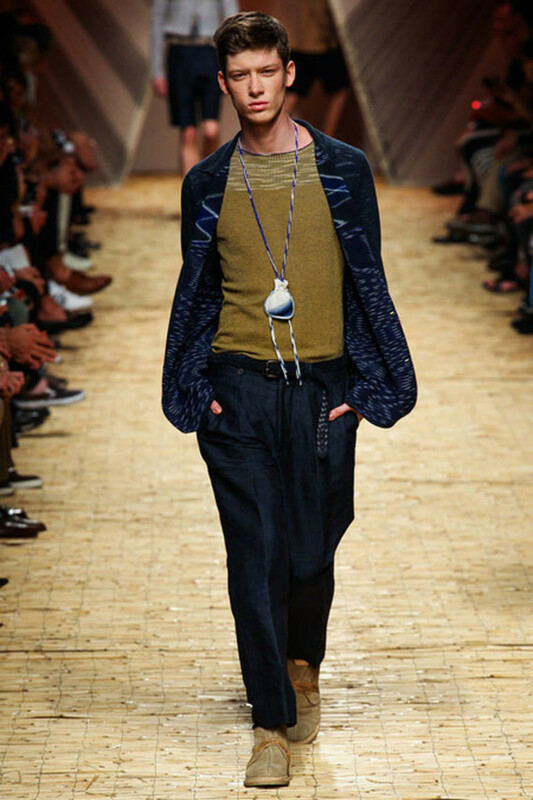 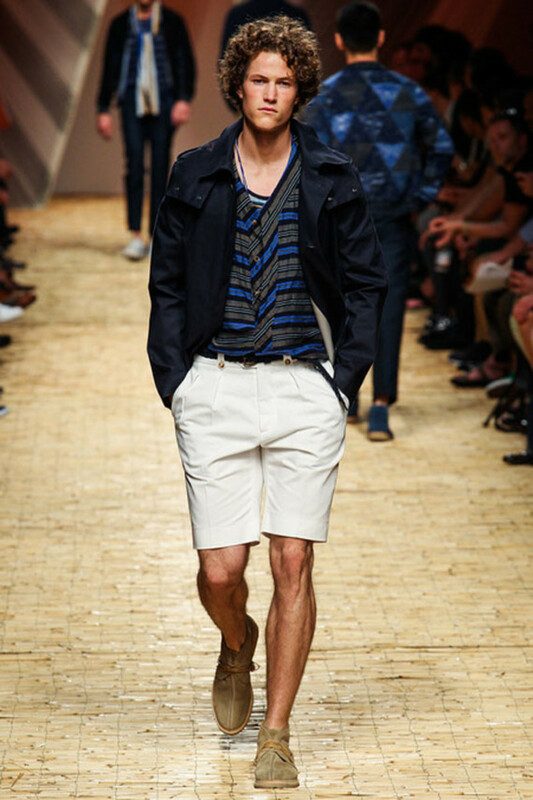 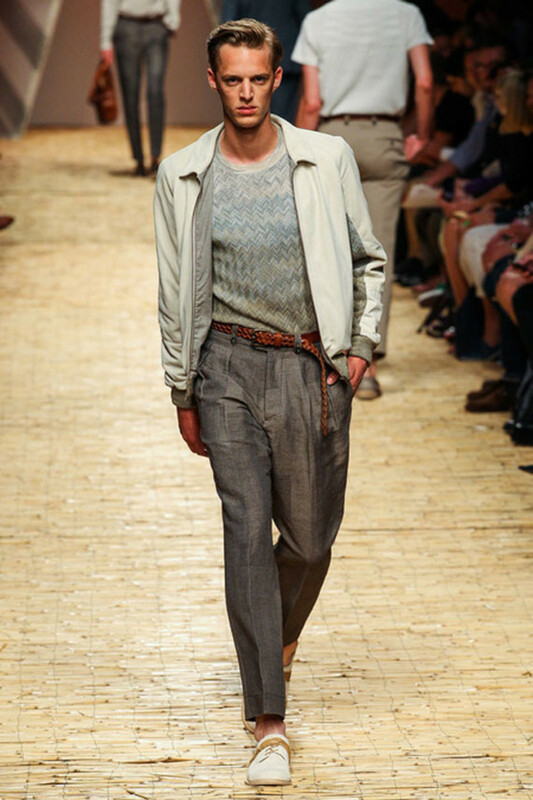 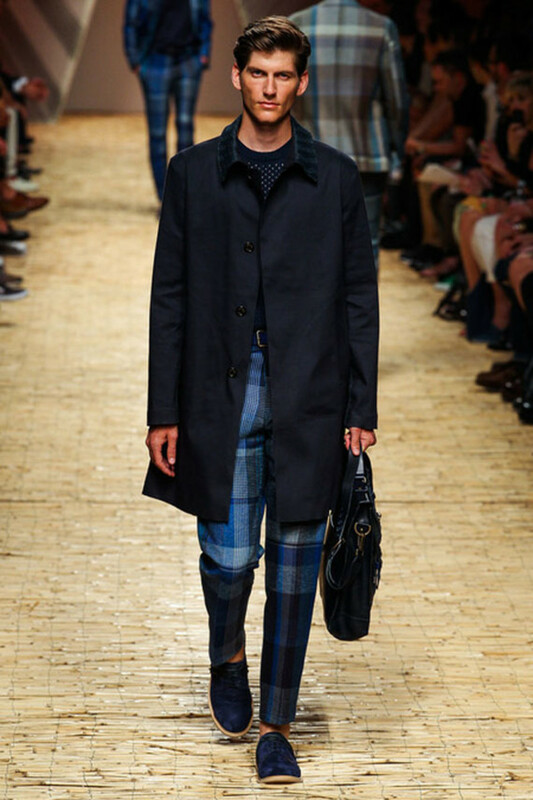 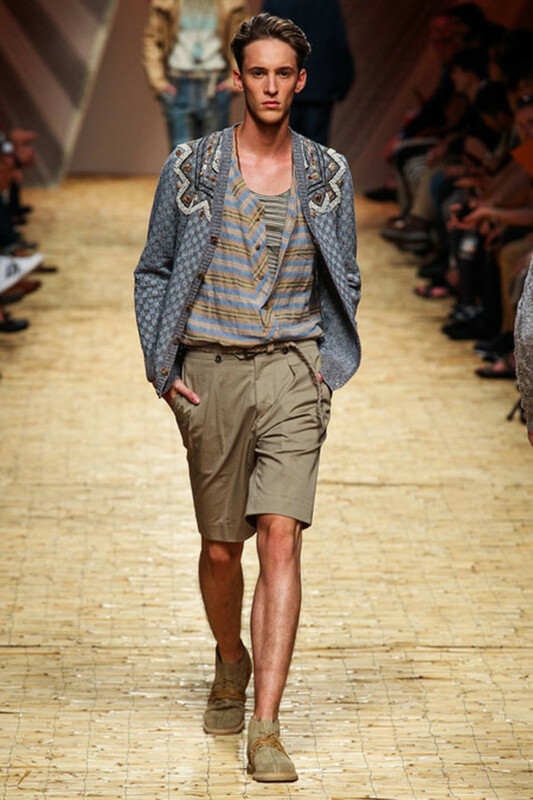 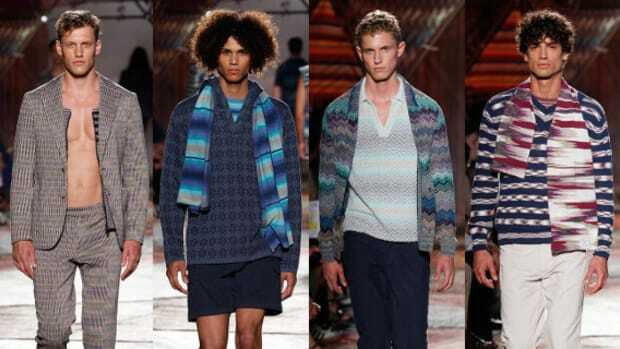 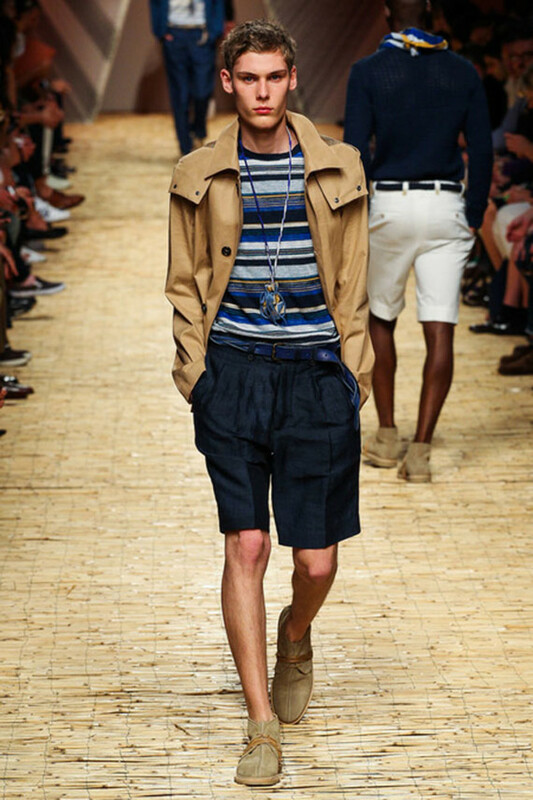 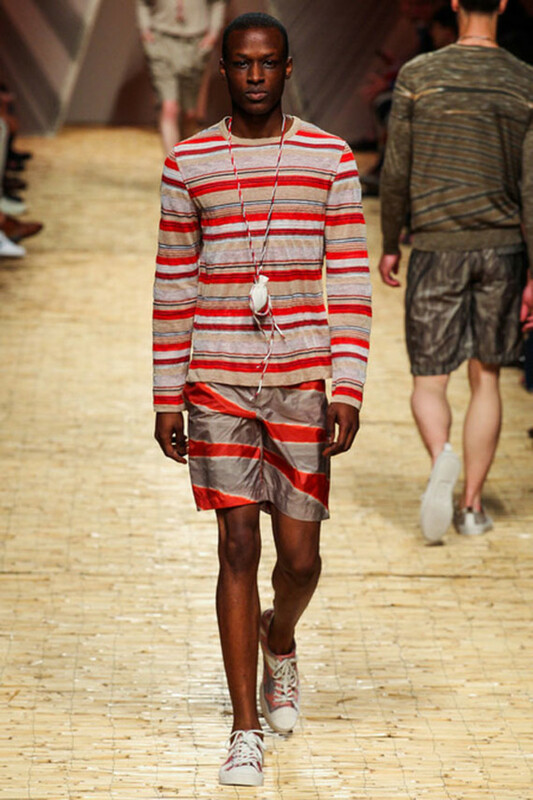 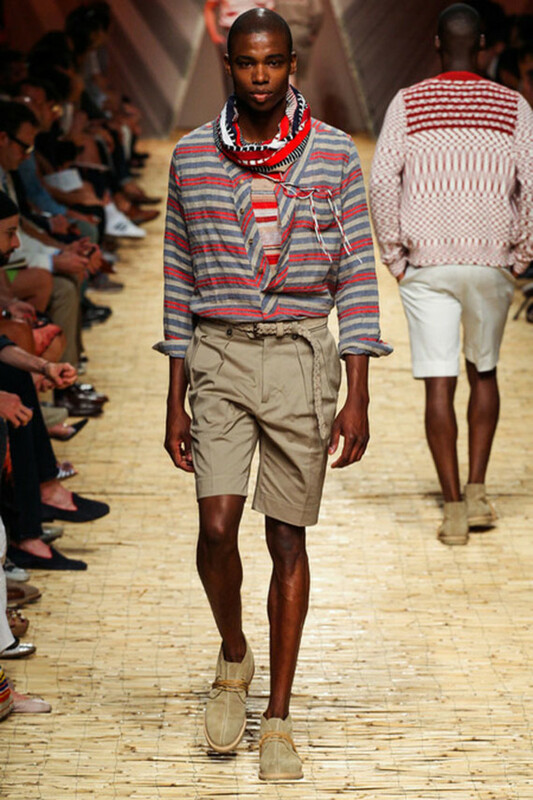 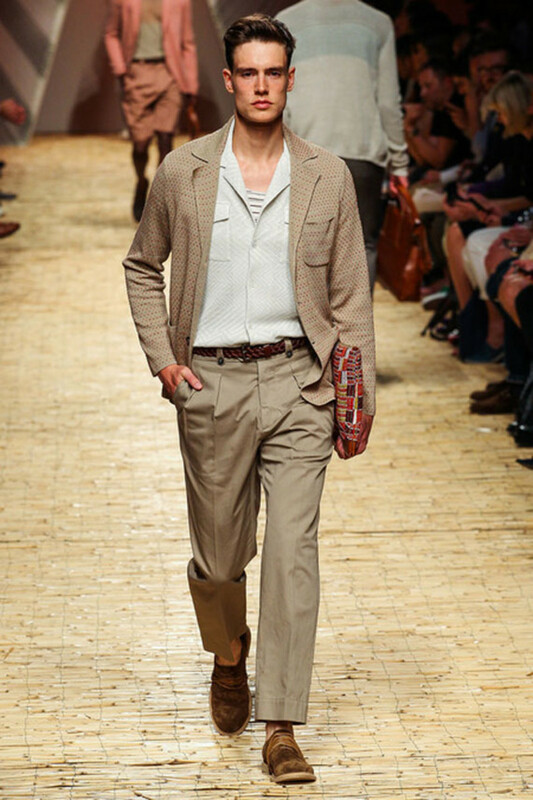 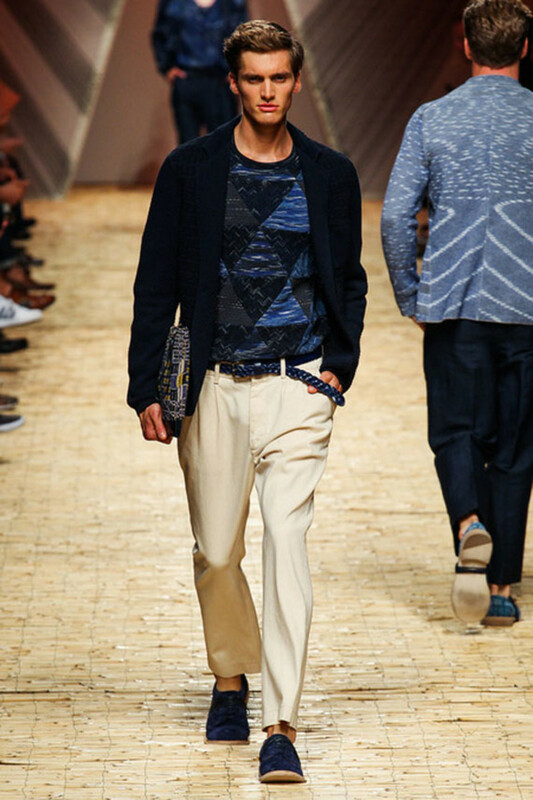 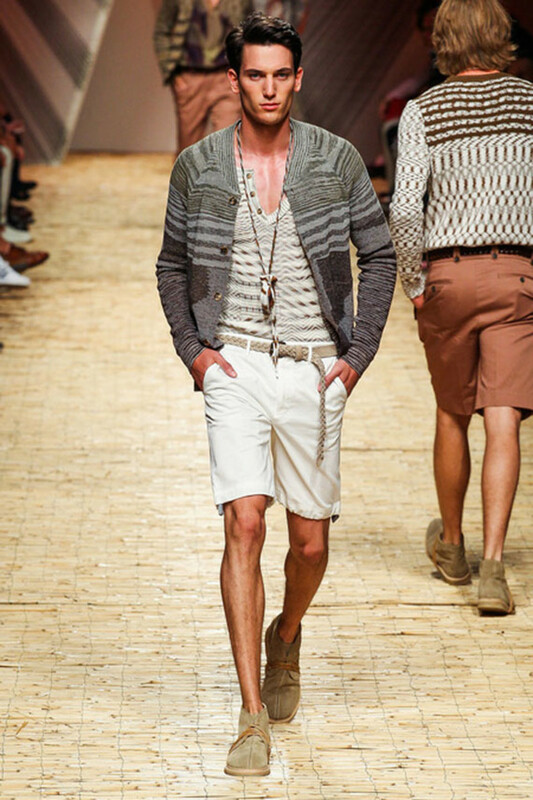 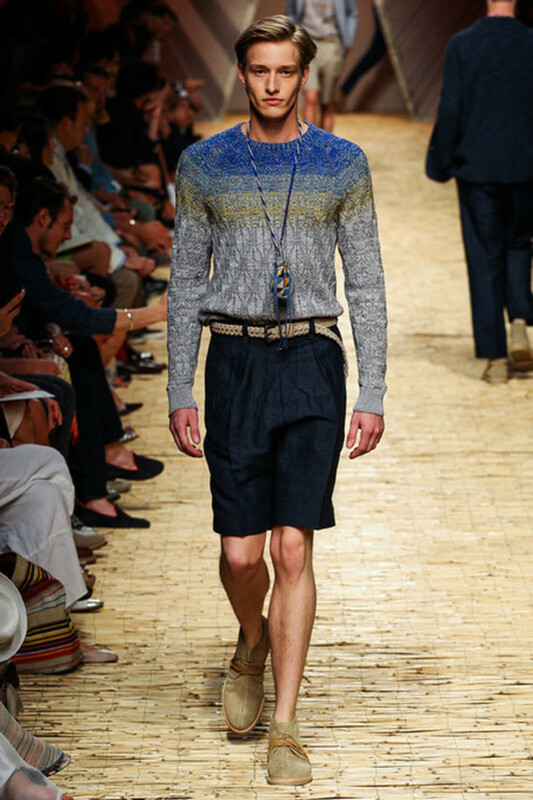 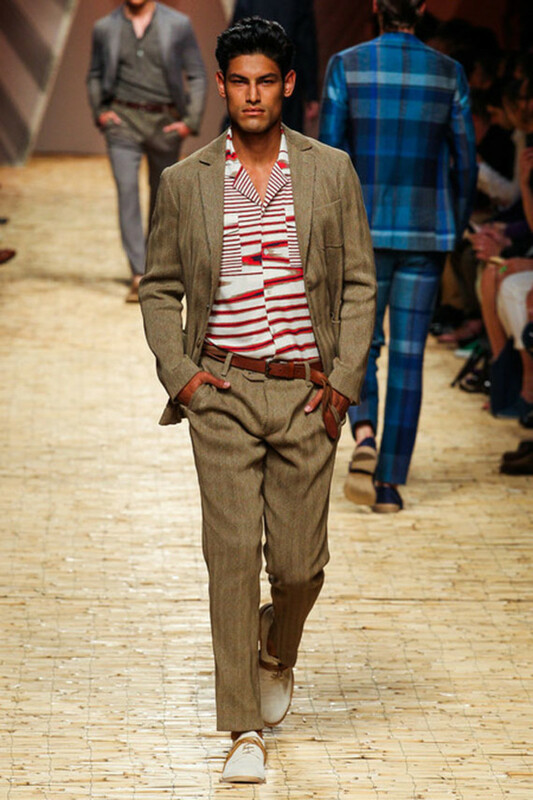 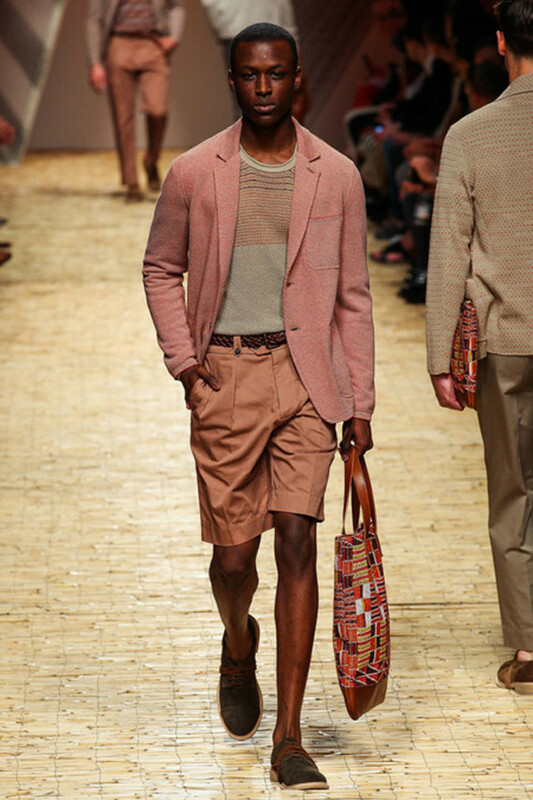 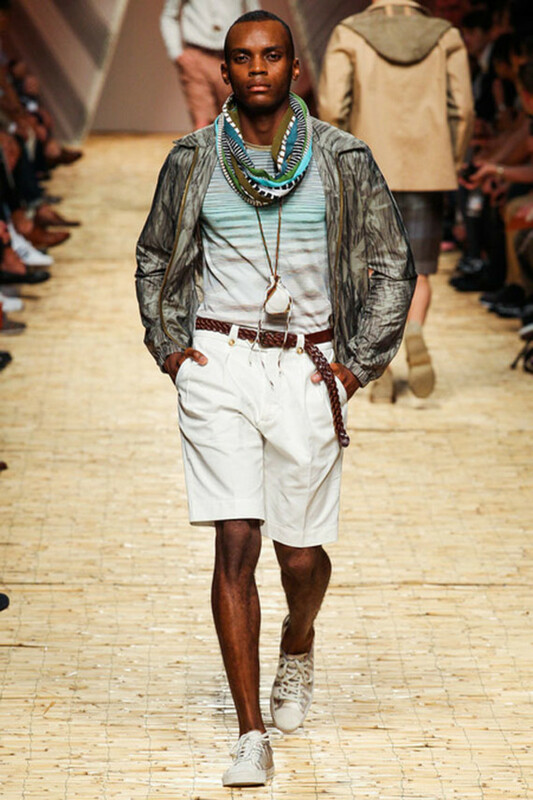 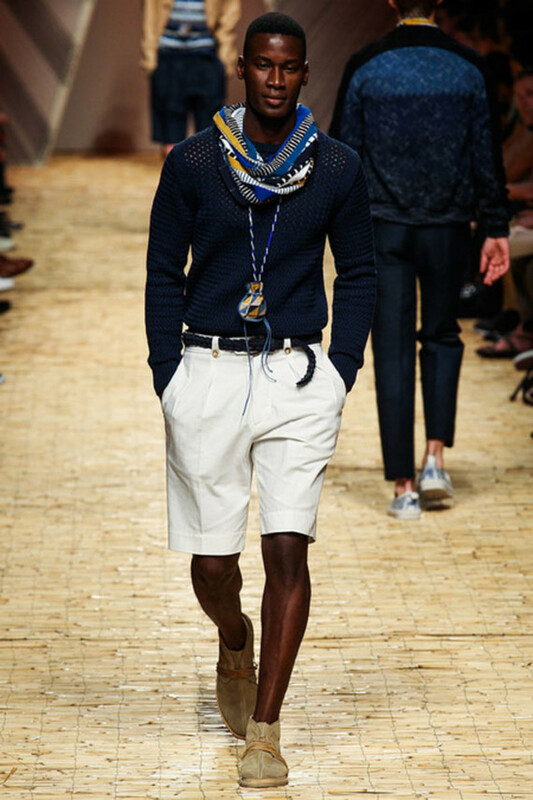 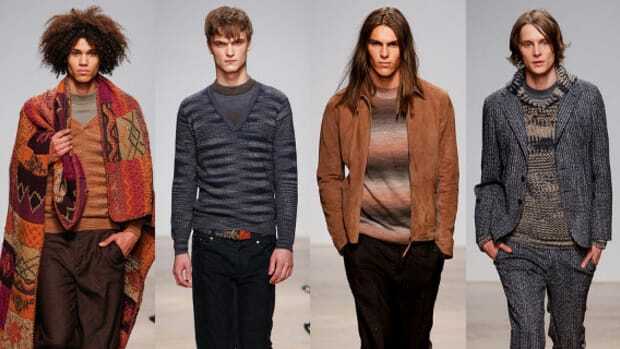 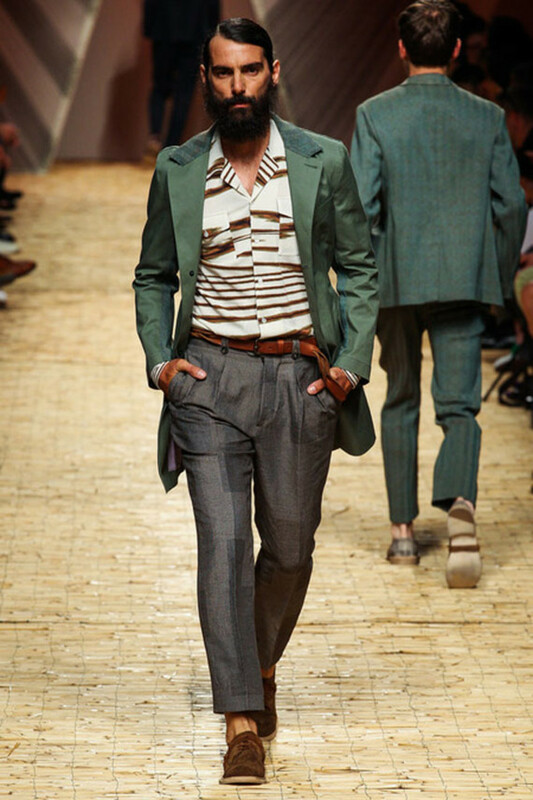 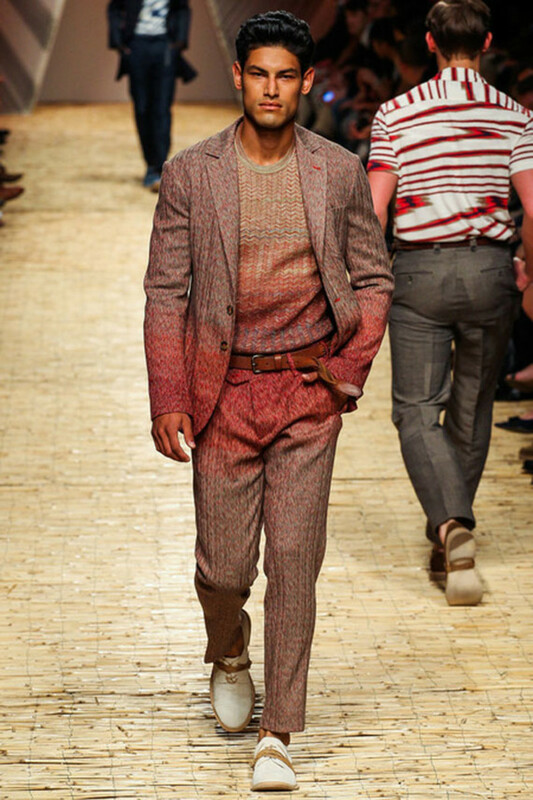 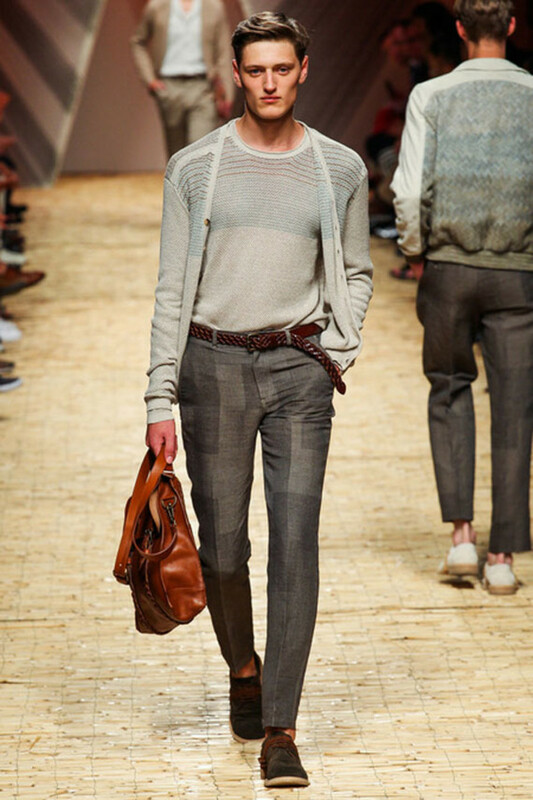 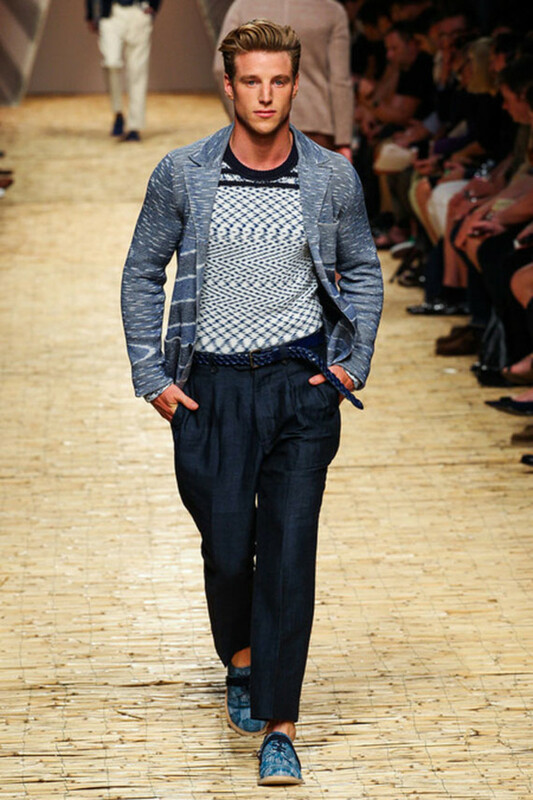 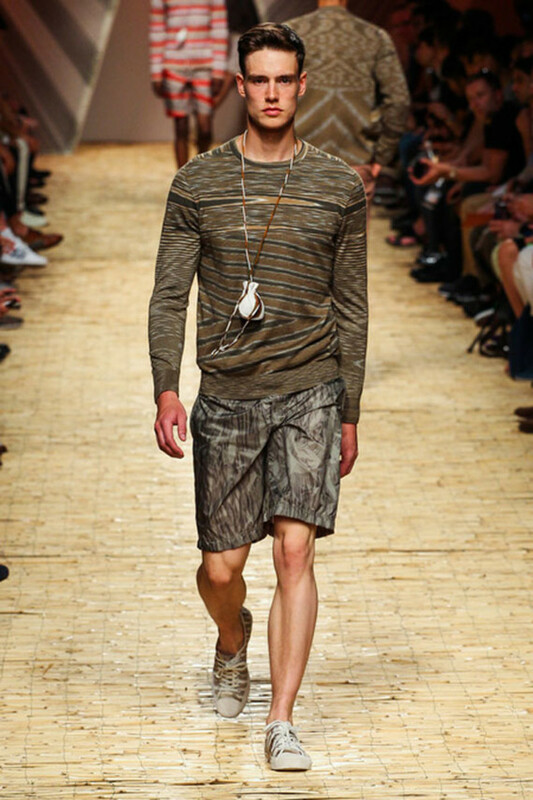 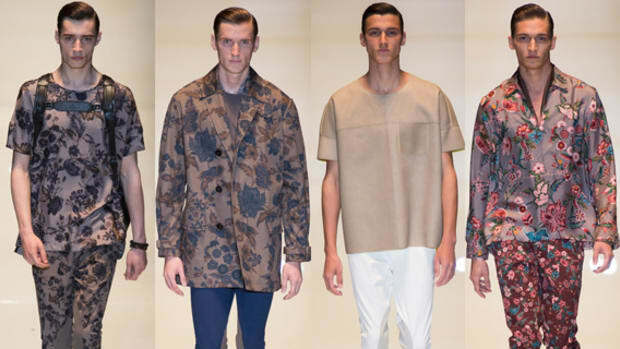 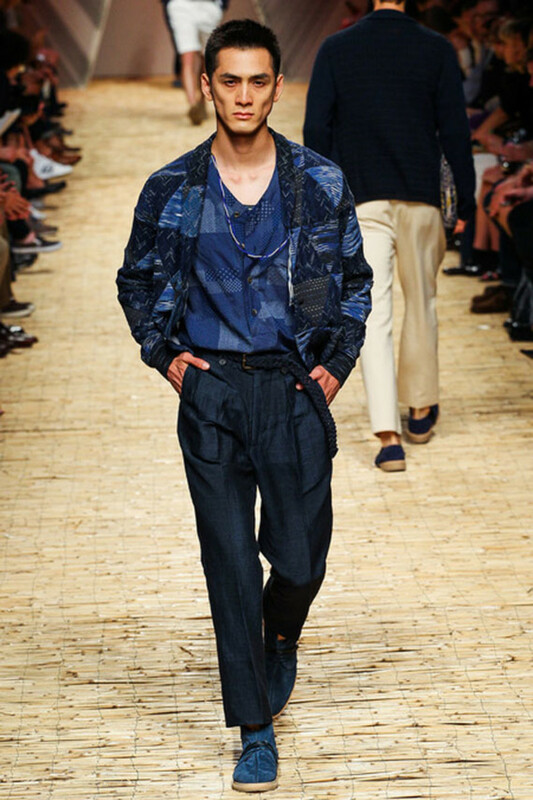 The MISSONI Spring/Summer 2014 Menswear Collection has fashioned a “desert” look that utilizes striped patterns, blue flannel, and gradient dyed knitwear. 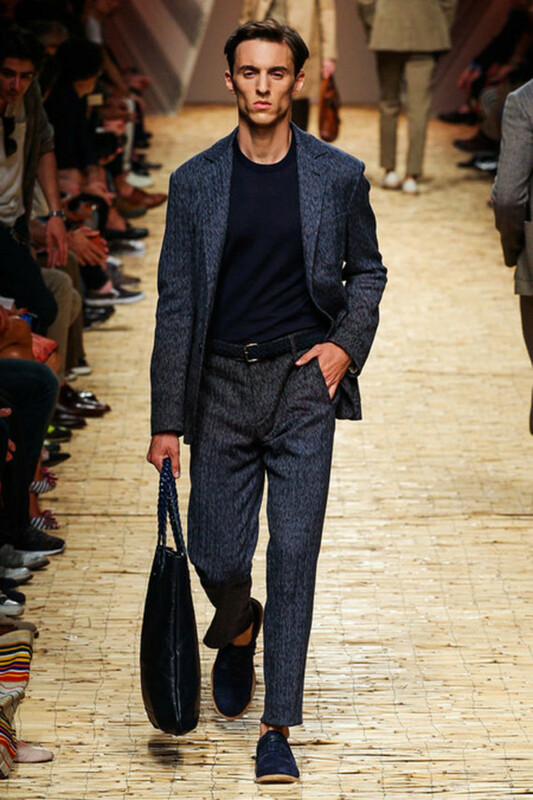 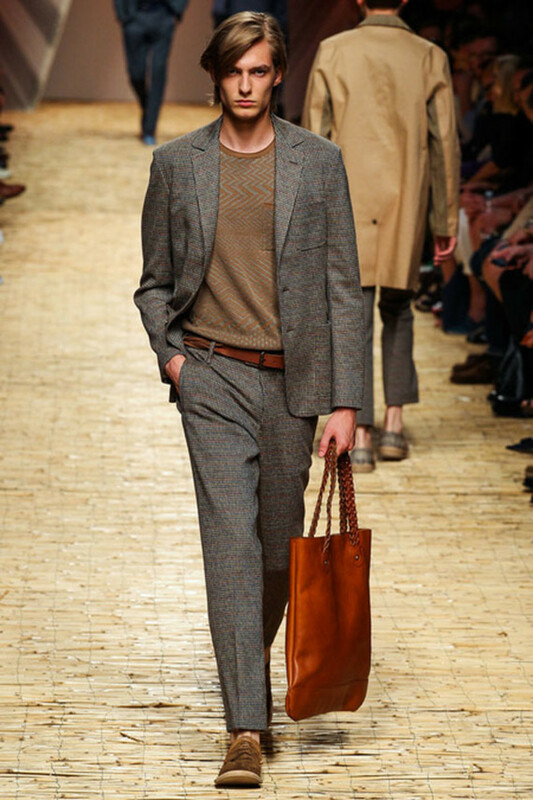 Office-friendly, blazer-and-pants ensembles begin the collection with trim fitting that ends curtly at the ankles. 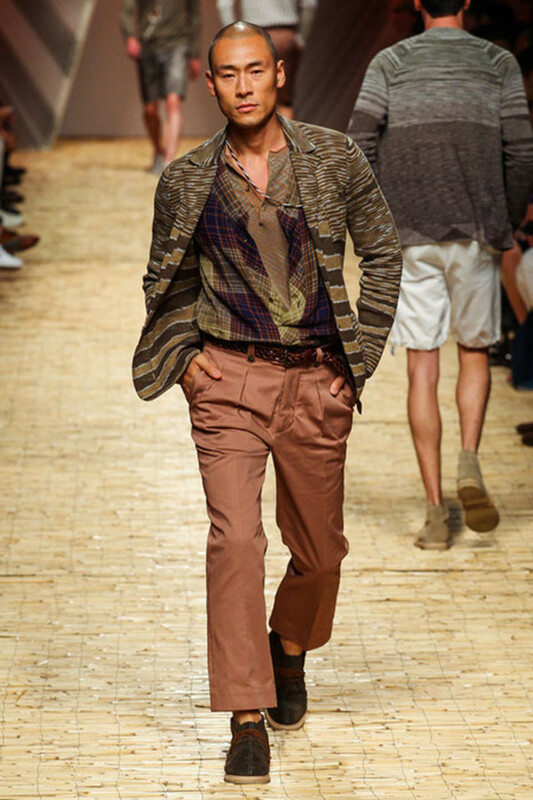 The snugness of the textiles used is reminiscent of loungewear from the 1960s and 1970s, thus giving a relaxed feel to the look. 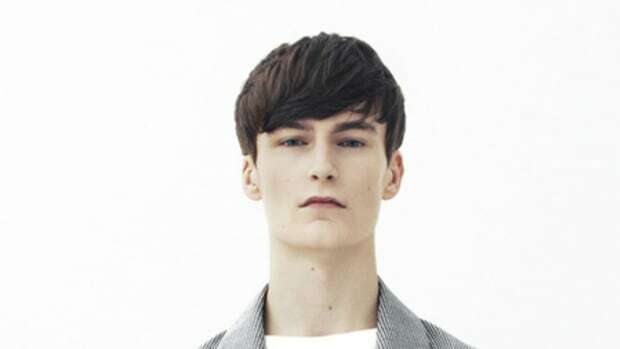 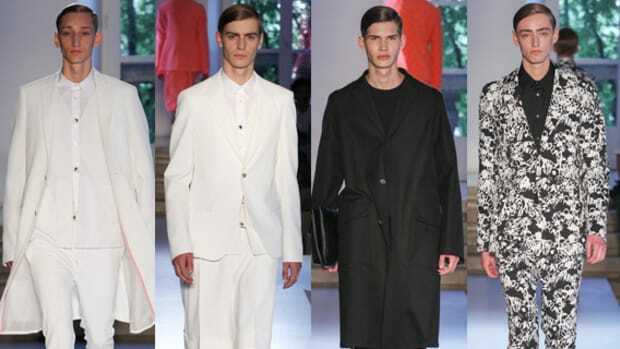 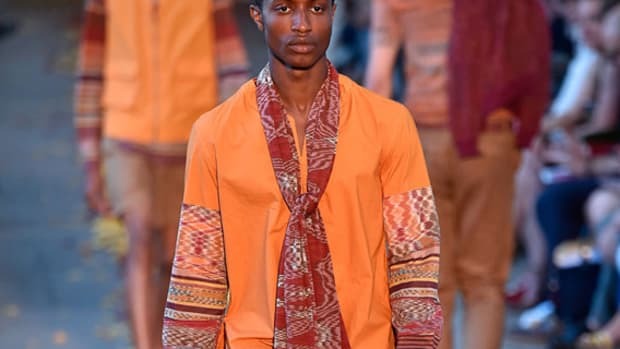 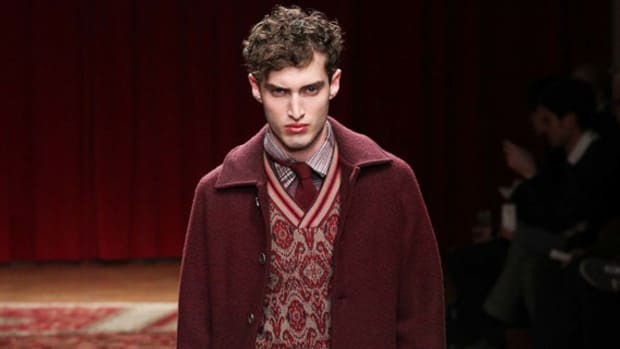 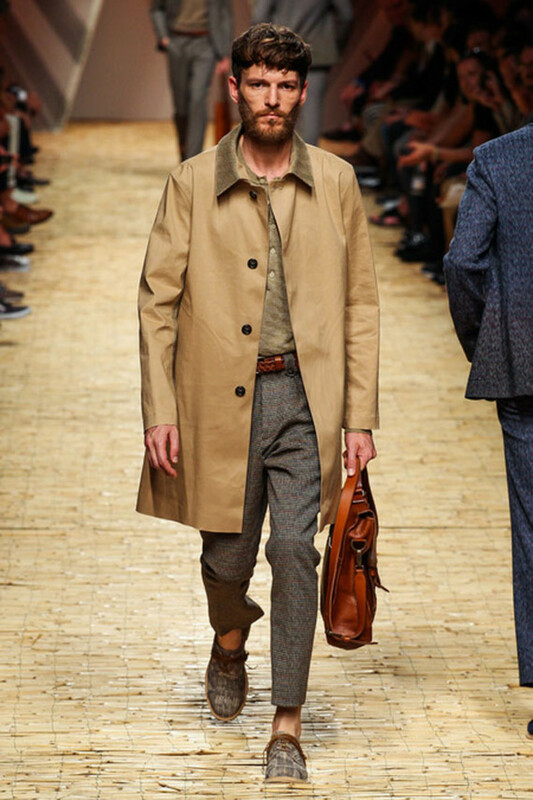 As the show progressed into leisurely wear, dusty reds, beiges, and deeper-hued blues became more present in the collection and manifested themselves in t-shirts, slightly flared pants, and knitted sweaters. 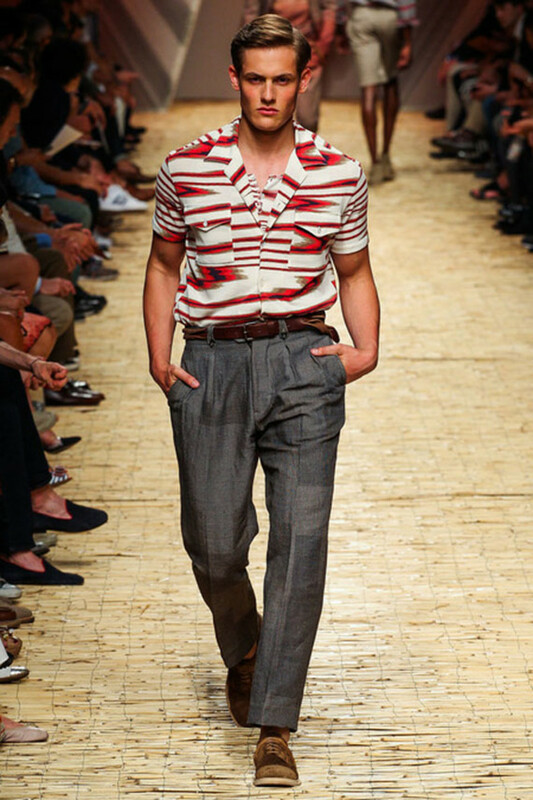 The most notable detail of the show was the slanted design of the striped patterns, which helped to break the monotony of a rather conservative print. 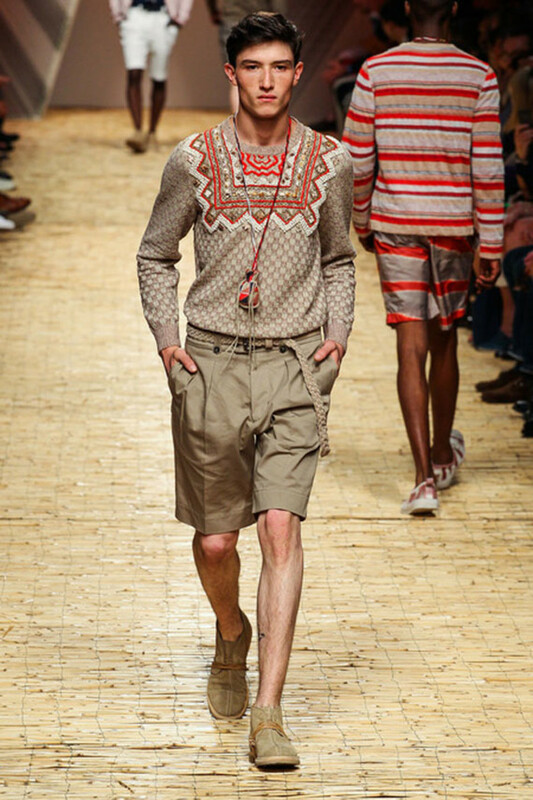 The underlying inspiration from Native American Indians is present, but not explicit, and applause should be given to Angela Missoni for her ability to incorporate Native-American-inspired needlework into the line’s cardigans and tops without creating an overtly feminine look.